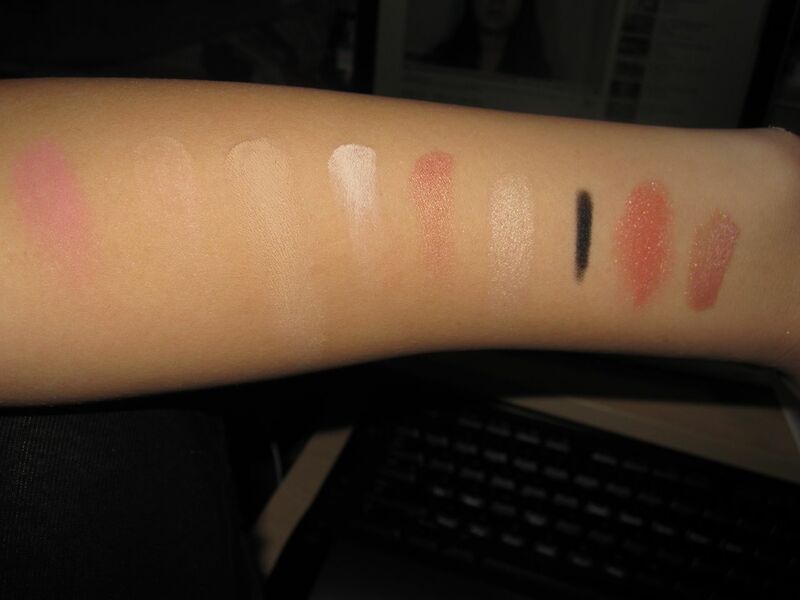 (From Left to Right): MAC blush in Pinch O' Peach (Sheertone aka matte), MSF Natural in Medium (pretty much my skin color), MAC Paint Pot in Soft Ochre (matte finish), MAC eyeshadow in Blanc Type (Matte squared), MAC eyeshadow in Expensive Pink (Veluxe Pearl), MAC eyeshadow in Femme Fi (Veluxe Pearl, Discontinued), Urban Decay 24/7 Glide-On Eye Pencil in Zero, MAC lipstick in Shy Girl (Lustre), Rimmel London Vinyl Gloss in East End Snob. 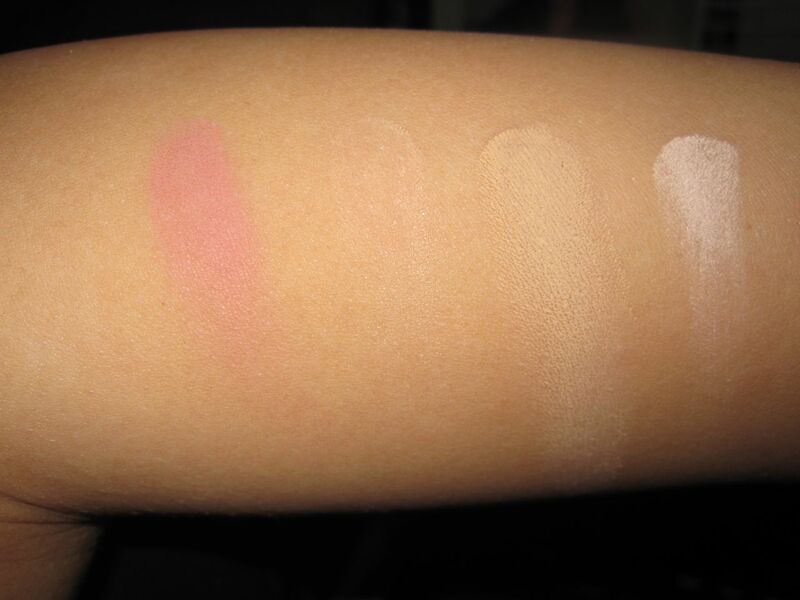 (From Left to Right): MAC blush in Pinch O' Peach (Sheertone aka matte), MSF Natural in Medium (pretty much my skin color), MAC Paint Pot in Soft Ochre (matte finish), MAC eyeshadow in Blanc Type (Matte squared). 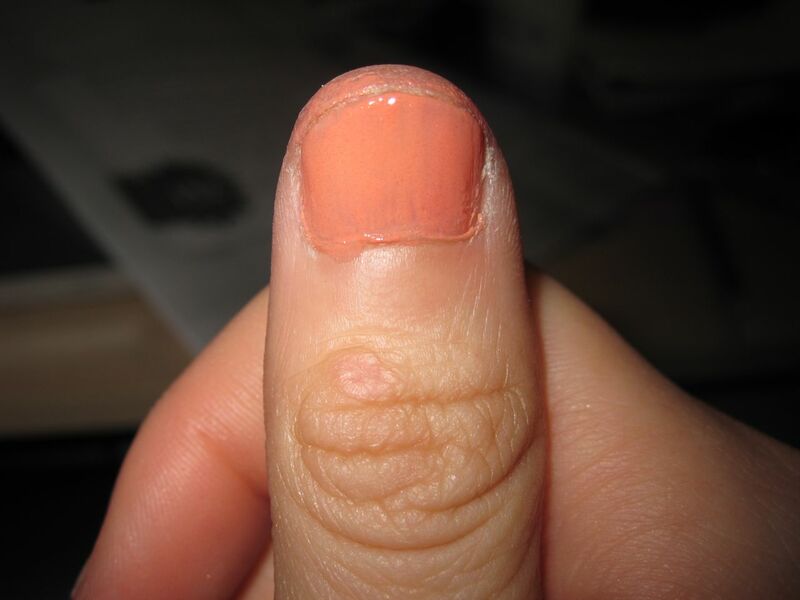 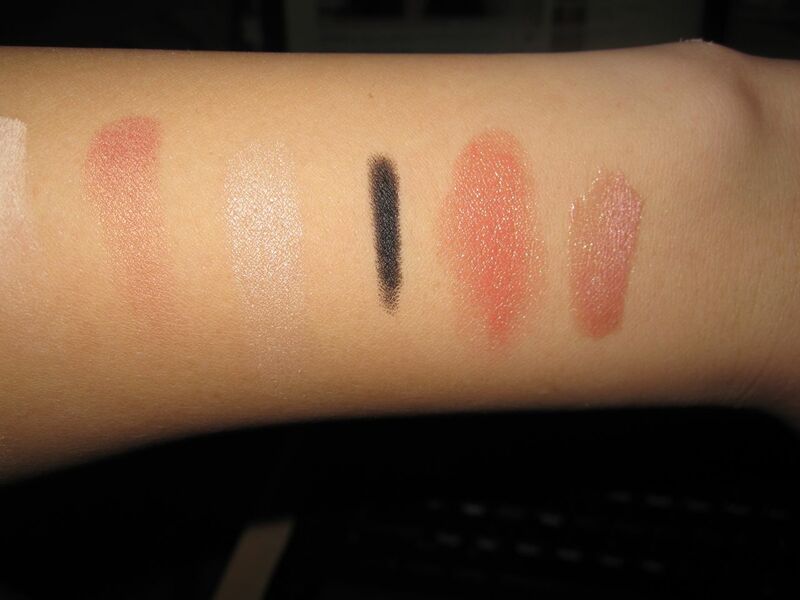 (From Left to Right): MAC eyeshadow in Expensive Pink (Veluxe Pearl), MAC eyeshadow in Femme Fi (Veluxe Pearl, Discontinued), Urban Decay 24/7 Glide-On Eye Pencil in Zero, MAC lipstick in Shy Girl (Lustre), Rimmel London Vinyl Gloss in East End Snob.